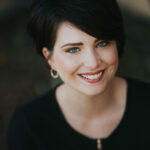 From makeup to make‐over, Louisville Professional Makeup Artist, Teresa Lanz can help you find the ideal image of you. Whether at your home, in the salon, or onsite to style your makeup for your wedding or event, she knows all the secrets for accentuating your natural features to create an unforgettable look that’s sure to turn heads. Pretty Looks To Try Right Now! Teresa’s keen eye and talent will enhance your natural beauty. Step into this Louisville, KY makeup studio and feel transformed. The elegant, tranquil environment she has created for you allows you to relax and enjoy the application of your flawless look.